Food has a direct effect on the performance of a trader. A healthy diet keeps a trader alert and active throughout the day. This would ultimately enable a trader to have a clear understanding of the price movement in the market, to validate signals without lack of concentration and to take successful trading decisions without any dilemma. In this regard, let us look at the nature of the diet required for a trader to remain physically and mentally alert throughout the trading session and beyond. A trader should remain focused in order to respond quickly to changes in the market dynamics. To remain focused, a healthy food is absolutely necessary. Healthy food improves the concentration of a trader. The food, which we consume, is converted into glucose by our body. The glucose provides the energy required for our brain to remain alert and active. Now, the most important point in this is the time taken by the human body to convert the food into glucose. Different varieties of food take different time for the body’s metabolic system to process. Foods like pasta, bread, and soda are quickly digested by the body. Thus, glucose is released quickly. This leads to a sudden spurt of energy followed by a slag. 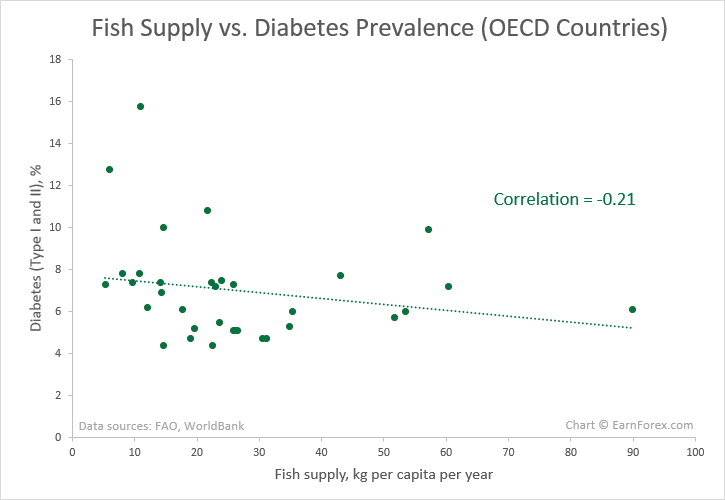 On the other hand, high fat content food would release glucose consistently. However, the digestive system would be put under tremendous strain. This would generally lead to a reduction in supply of oxygen to the brain and make a person sleepy. Thus, from the discussion above, it can be understood that the kind of food consumed by a trader should neither provide sporadic spurts of energy nor make a person drowsy. To remain active throughout the day, the selected variety of food should be such that it gets digested easily and releases energy in a sustained manner. It is always better to begin the day with an antioxidant drink that will also hydrate the body. 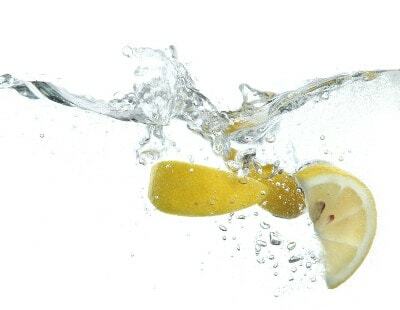 Invariably, warm lemon water is the first choice of nutritionists. It provides energy, removes toxins from the body and also assists in digestion. Thus, it keeps a trader energetic throughout the day. Furthermore, antioxidants protect the body from the damage caused by free radicals (unattached oxygen molecules, which are a natural byproduct of the used oxygen we breathe). Naturally, brain, which uses almost 20% of the oxygen intake, is affected as well. Ultimately, the side effects would be the loss of memory and decrease in cognitive skills. Practically, this affects the performance of a trader severely. Consuming antioxidant drink considerably delays the aging of the brain. So, having warm lemon water keeps the trader smart and energetic. Apart from warm lemon water, pomegranate juice is also a great option for a trader. Traders may also opt for spiced tea, which would usually include ginger, pepper, cardamom, and cinnamon. Even a hot chocolate drink will provide a lot of energy and antioxidants. The other options would be ginseng tea (increases concentration) and even coconut water to a certain extent. An ideal meal should have the right mix of protein, complex carbohydrates, and heart-healthy fat. The ideal protein intake requirement of a normal person is 0.8 grams for every kilogram of body weight. Almost all raw materials that make up our body tissue are made up of protein. In fact, the brain is composed of protein. Protein is composed of amino acids, which form the neurotransmitters in a brain. A breakfast with adequate protein supplement ensures that the brain remains very active. Furthermore, protein protects the body from disease. Thus, protein enables a trader to remain super active both physically and mentally. Common sources of protein include, beef, pork, lamb, fish (salmon), yoghurt, milk, eggs, and nuts. Carbohydrates are very much necessary for remaining physically active. Kenyan runners are a great example for the endurance offered by carbohydrates to a human body. It has been proven scientifically that even during low intensity work, carbohydrates (1–2 g/minute) and not just fat are burnt. Lack of carbohydrates would also result in fatigue, thereby severely affecting the performance of a trader. During economic and political news announcements, orders have to be placed very quickly. Only then a trader can capitalize on the rise in implied volatility. In this regard, there should be perfect coordination between mind and body. The adequate amount of carbohydrates would only ensure that body quickly responds to the signals from the brain. Finally, a trader needs healthy fat in his body. Fat is the primary source of energy for the aerobic muscles. Most of our day-to-day actions are supported by the energy from the fat. Fat, which contains 9 food calories per gram, can provide more energy than carbohydrates, which contain only 4 food calories of energy per gram. In fact, almost 80%-90% of human body’s energy requirements can be met with healthy fat. Furthermore, the body fat protects a person in extreme cold weather and offers insulation to vital organs in unusually hot periods. The fat we consume from food triggers the bile from the gallbladder, thereby starting the digestion process. Only when there is no problem with the metabolic activity, a trader will be able to bring out his maximum capability. Of course, there is no such thing as an ideal meal that would suit all traders and can be consumed alone in infinite quantities. But it is possible to list some examples of the meals that deliver a combination of macronutrients discussed above in a balanced and tasty way. Wholegrain toast with eggs and an apple (or other fruit). Cottage cheese with honey and strawberries (or other berries). Oatmeal porridge with your favorite nuts and an orange. Roasted salmon with rice or broccoli. Grilled chicken breast with a mix of vegetables. Whole-wheat pasta with shrimps or prawns. Chickpea soup with carrots and onions. Grapefruit and avocado salad with slices of salmon (smoked or baked). Quinoa and roasted turkey breast slices. Roasted pork chops with stir-fried spinach. Baked quince stuffed with nuts and honey. Apples and other juicy fruits. Small amounts of dried fruits and nuts. Depending on when the most of the trading activity is taking place during the day, a trader would need to emphasize the respective food intake before that trading session starts. For example, if one lives in US West and prefers to trade during NY/London open hours (not a very healthy combination), the trader would need either to have a late carbohydrate-rich dinner to stay active through early morning trading period or to get up very early and eat a fulfilling breakfast. If a trader lives in Australia but prefers to trade during European trading session, an early dinner with additional slow carbs and extra amounts of healthful fats would be appropriate. Vitamin A – Ensures good eyesight, without which trading is almost impossible. Vegetables rich in vitamin A are carrots and sweet potatos. Vitamin B complex – Refers to the eight different kinds of vitamin B (B1, B2, B3, B5, B6, B7, B9, B12) that assist in converting the food into energy and also prevent memory loss. Vitamin B complex increases body immunity. A trader who lacks vitamin B would fall ill often and may be forced to abstain from the market frequently. Some of the best sources of vitamin B are fish, meat, eggs, whole grains, potatoes, bananas, beans, lentils, and yeast. Vitamin C – It is very much needed for growth and repair of body tissues. Vitamin C is also a great antioxidant, whose benefits were discussed earlier in this article. Vitamin C cannot be stored in the body. Adults require at least 75–90 mg of vitamin C on a daily basis. A trader who lacks vitamin C would feel tired and will suffer from muscle and joint pain. In extreme cases, the trader would experience swelling of the gums. Naturally, the lack of vitamin C would force a trader to suspend trading and take rest. To avoid such a scenario, daily consumption of food rich in vitamin C is a must. Orange is a well-known source of vitamin C. Apart from that, traders can eat guava, strawberries, and grapes. Even red and green peppers are a great source of vitamin C.
Vitamin D – Keeps a trader strong. Even though a trader has little physical work to do when carrying out his or her professional activities, having strong bones is important for normal body functioning. Regular intake of eggs, fish, and mushrooms keeps a trader strong and healthy. Vitamin E – Ensures proper blood circulation. A trader should be able to withstand the stress when the market moves against the forecast. Having adequate supply of vitamin E will enable a trader to remain calm and to make balanced decisions. Tomatoes and almonds are easily available sources of vitamin E.
Vitamin K – Very much needed for blood coagulation. Also prevents type II diabetes and heart disease. Vitamin K deficiency would also result in gum and nose bleeding. Obviously, trading would be virtually impossible under those circumstances. Thus, regular intake of foods containing vitamin K is a must for a trader. Spinach and broccoli are the cheapest sources of vitamin K.
Folic acid – It is also referred to as vitamin B9 or vitamin M. It provides the body with the ability to replace old cells with new ones. From the perspective of a trader, in order to avoid laziness, it is extremely important to have adequate amount of folic acid in the body. Again, broccoli, lentils, beans, peas, cauliflower, corn, and asparagus are great sources of folic acid. Calcium – It keeps the bones and teeth stronger. Without healthy teeth, a trader would regularly experience toothache. Moreover, overall life quality and ability to consume healthy food would also be jeopardized due to a poor condition of teeth. Ultimately, this will affect a trader’s performance. Yoghurt, cheese, milk, and blackstrap molasses are great sources of calcium. Iron – Keeps muscles stronger and maintains healthy blood. Deficiency of iron nutrient will make a trader fall sick more frequently. Oyster and organ meats (e.g., liver) are a very good source of iron. Similarly, soybeans, cereals, beans, lentils, and spinach are good vegetable sources of iron. Chromium – Ensures proper glucose function. Having enough chromium in the body will enable the cells to receive energy as and when required. Thus, lack of chromium would make a trader lose concentration and miss great trading opportunities due to laziness. Widely available sources of chromium include orange juice, raw onion, broccoli, black pepper, grape juice, green beans, and tomatoes. Apart from eating healthy food, a trader should drink abundance of liquid, which can be consumed either directly in the form of water or as fresh fruit juice. The fluids from food and beverages maintain body temperature and carry oxygen and other vital nutrients. A male trader should consume at least 3 liters of liquid a day. For female traders, the suggested quantity is 2.2 liters. Apart from healthy energizing drinks discussed above, plain water is a good choice to rehydrate a person’s body. Table salt (sodium chloride) is one of the most popular food seasonings and is a source of sodium for humans. High salt intake is associated with effects that can be detrimental to an active Forex trader: high blood pressure, cognitive decline, addiction. At the same time, sodium deficiency is not a good thing either. Traders need to balance their salt consumption to achieve a proper functional form. One way is to follow FDA recommendations for sodium rationing. The UK’s National Health Security also provides its salt intake recommendation. Health-conscious traders may also start using potassium to substitute for sodium. Although dietary fiber is a nutrient that is not digested by a human body but instead helps its proper functioning. There are two types of dietary fiber — soluble and insoluble. The former helps control blood sugar and cholesterol level. Easily available sources of soluble dietary fiber include: beans, oat cereals, Brussels sprouts, oranges, flaxseeds. Insoluble fibers play a significant role in propelling the food through the digestive system. They are abundantly found in seeds, skins of fruits, whole-wheat bread, and brown rice. Considering the sedentary lifestyle of most traders, getting enough of insoluble dietary fiber from food is crucially important. It will help a trader to avoid severe problems associated with a sitting job and poor eating habits. Insoluble fiber prevents constipation, forestalling such serious conditions as hemorrhoids. Coffee is a popular drink among those who work at computers. It is a natural source of caffeine — a psychoactive drug that stimulates the central nervous system. Other primary sources of caffeine include: soda drinks, tea, chocolate, food supplements. Caffeine has its benefits: improves memory, decreases fatigue, eliminates drowsiness. It also has its negative sides, causing insomnia, nervousness, restlessness, irritability, heartbeat rate increases, etc. A currency trader can benefit from the advantages offered by caffeine but will also imperil performance due to the adverse side effects associated with the consumption of the chemical. One should take great care when administering this drug. Drinking coffee before an important late-night trading session when maximum attention is required is probably justified, while indulging oneself with a lot of caffeinated drinks disregarding the actual necessity is a ruinous path. Similarly to caffeine, other drugs are sometimes used in Forex trading. Nicotine and alcohol perhaps being the most popular ones. Nicotine is able to cause a positive effect on brain’s cognitive functions. At the same time, it has a range of adverse side effects that can potentially impair trading performance. Alcohol is even less suitable for improving trader’s results. However, it has its benefits for prevention of cardiovascular disease. Though it can help in getting relaxed after a stressful trading session, trading under the influence is a recipe for a disaster. High leverage and liqueurs do not combine! Although sleep is not a part of a diet, there is evidence that poor sleeping habits have adverse effect on person’s eating behavior. Not enough sleep or irregular sleeping schedule increases the risk of obesity and a set of accompanying conditions that will not make trading easier. Meanwhile, what people eat affects the quality and amount of sleep. Day trader’s schedule can be quite fragmented and uneven. Sometimes a trader would need to stay awake through late night session and sometimes it would be necessary to get up very early. Of course, establishing a stable trading routine can help with this, but it is not always a possibility. Under these circumstances, a trader must be extra careful consuming foods that can potentially disrupt sleep: coffee (obviously! ), soda drinks, tea, chocolate, food high in saturated fat. Avoiding them during last few hours before going to sleep will have a positive effect on the mind’s resting time and thus on the ability to make adequate trading decisions. Physical exercise is another factor that is not directly connected to diet but that has its place in a healthy lifestyle, which is probably what most FX traders are aiming for. Apart from more obvious advantages, moderate level of physical activity has been scientifically proven to have a positive effect on person’s mental health and mood. For a trader who spends most of the day sitting in front of a computer, exercising offers an important benefit of staying fit and lets the body lead a more complete life, stimulating appetite and normal sleep. It is important to note that only balanced amounts of physical activity retain all the perks without carrying any serious cons. Too much workout can lead to stress, exhaustion, and even health issues. The same as in the diet (and in Forex trading! ), moderation is the key here. Waterlogged — a good reminder app to help you drink more water. If you see that your water-drinking habits are not allowing you to stay fully hydrated during the trading session, Waterlogged will aid you to establish an optimal water intake routine. Installing this app can be your first step to start drinking more water. Fooducate — makes your mobile device track your food, activity, sleep, and mood. If your eating habits are out of order, it will lend you a hand in getting back on tracks with the diet. Fooducate’s most interesting feature is the database of products that will help you decide, which of your groceries are good for improving your cognitive performance and which are not worth consuming at all. Nutrino — a great app for traders on a diet because it helps to establish the best meals plan according to your goals and daily activities. It works based on biochemistry data, your taste preferences, allergies, and other factors. Everything is founded on scientific approach and will satisfy even the pickiest eater. Healthy eating habit is as invaluable as a good trading strategy. A healthy individual will mostly remain in good mood and have tremendous endurance. It would soon reflect in the trading performance. Ultimately, the trader will not only earn money but will also have a vigorous body to fully enjoy the profits and lifestyle associated with success in the financial markets. For me, a healthy diet is an important part of life. I cannot say that I have acquired my eating habits specifically to face the trials and hardships of the market. Though I must admit that the disciplined approach to trading — a result of years of learning and practice — has also been carried over to other areas of my lifestyle. So, my approach to nutrition is connected with currency trading, but I would continue employing it even if I had to stop trading tomorrow. And how about you? 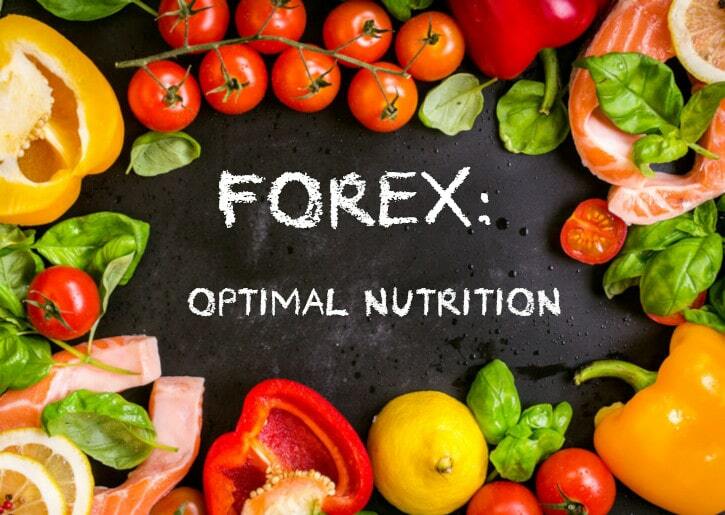 Do you follow a healthy eating plan to improve your performance as a Forex trader? I am on a healthy diet but not because of Forex. Yes, I am trying to eat only healthy food - it is an important part of my trading plan. No, I don't think that food matters that much in trading. If you want to say something about the optimal diet for a trader of if you want to share your experience related to nutrition and trading, please do so using the commentary form below.